This church is in its third incarnation. The original was probably built in the 1200’s and added to and expanded during the middle ages. Lime paintings were added in the 1400’s. In the 1840’s the church was in such a dilapidated condition that it was demolished. A new church in the Karl Johan style was completed in 1846 and much of the medievil furnishings from the old church were used in the newer one. In 1914, the second church burned down though there was time to save some of the medieval furnishings. 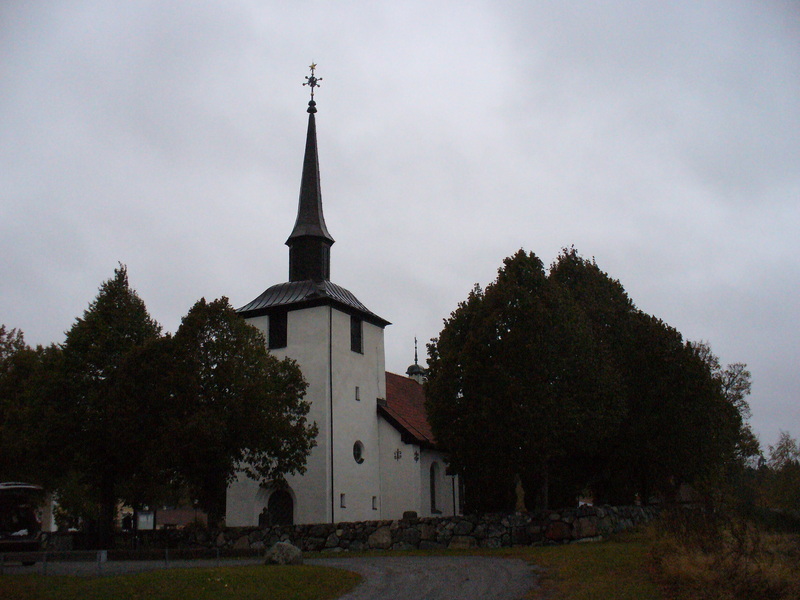 The current church was built between 1925-1926 and is based on traditional medieval drawings by Sven Brandel.